Square Enix has announced that Final Fantasy XIII-2 will be released on Steam on 11 December 2014. It looks like they've listened to the feedback they've received from releasing Final Fantasy XIII on Steam which said to be a bad port. Final Fantasy XIII-2 was released back in 2012 on PlayStation 3 and Xbox 360 and takes place three years after the events of Final Fantasy XIII. The Steam version will feature custom resolutions, graphic options, 60 FPS and Japanese voices. It can be purchased on Steam for $ 19.99 / £ 12.99 / € 15.99 with a 10 % discount till release. 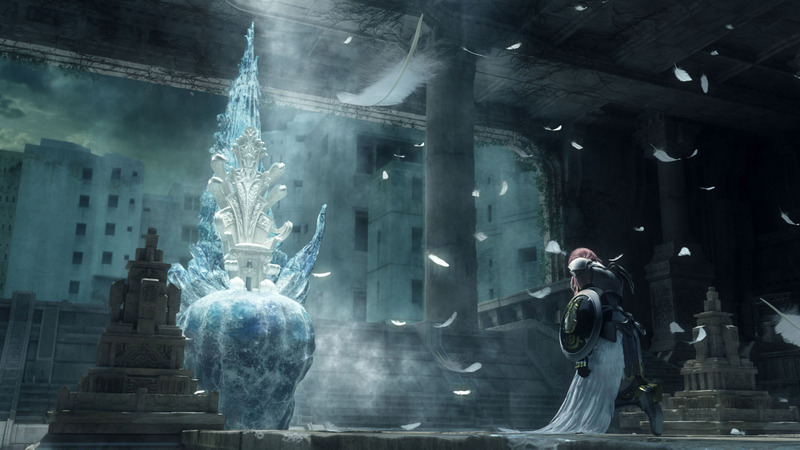 Lightning Returns: Final Fantasy XIII will follow in Spring 2015. With only less than a month away till Kingdom Hearts HD 2.5 ReMIX (the HD versions of Kingdom Hearts 2: Final Mix, Kingdom Hearts Birth By Sleep and Kingdom Hearts Re:coded) will be released in North America and Europe, Square Enix has announced this week that it will get a collector's editon. 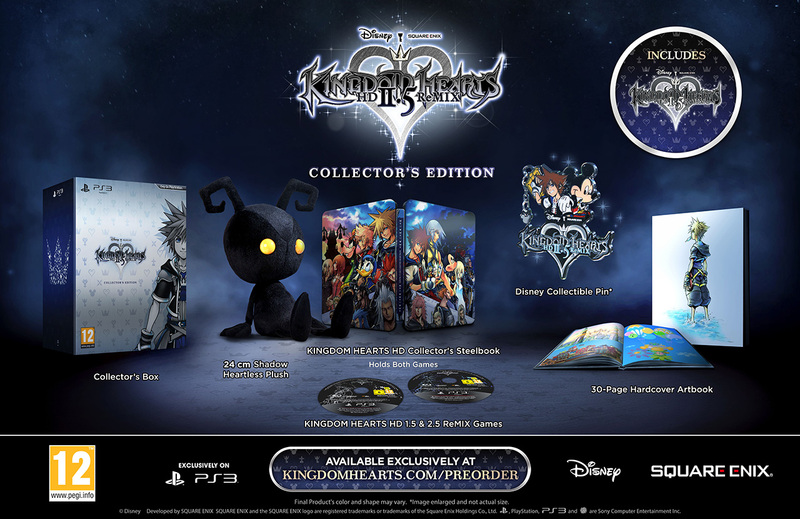 This collector's edition can be purchased from the Square Enix Online Store if you live in the UK or France. Kingdom Hearts HD 2.5 ReMIX will be released on 2 December in North America and 5 December in Europe. Last Friday Square Enix Presents featured the first Active Time Report with the latest news and footage of games that are currently in development. The first report was dedicated to Final Fantasy Type-0 HD and Final Fantasy XV. The stream starts of with Shinji Hashimoto greeting everybody welcome. After that a message from Hajime Tabata is showed where he apologies for the delay of Final Fantasy Agito+, the PlayStation Vita version of the original game which was originally scheduled for release on 15 January 2015. Next item is Final Fantasy Type-0 HD where footage is shown about the characters with French text and English voices (footage shown on Paris Games Week). For the Final Fantasy XV part of the stream Yasuyuki Matsunami, map director, and Yusuke Naora, art director, joins the stream to show exploration footage of Noctis and team through the Duscae region. Later also Tech Demo #1 is showed with the current build of Luminous Studio engine version 1.4. The next Active Time Report will be streamed during Jump Festa which takes place on 20 and 21 December.